Tim and Eric Awesome Show, Great Job! is an American sketch comedy television series, created by and starring Tim Heidecker and Eric Wareheim, which premiered February 11, 2007 on Cartoon Network's Adult Swim comedy block and ran until May 2010. The program features surrealistic and often satirical humor, public-access television–style musical acts, bizarre faux-commercials, and editing and special effects chosen to make the show appear camp. The program featured a wide range of actors, spanning from stars such as Will Ferrell, John C. Reilly, David Cross, Bob Odenkirk, Will Forte and Zach Galifianakis, to alternative comedians like Neil Hamburger, to television actors like Alan Thicke, celebrity look-alikes and impressionists. The creators of the show have described it as "the nightmare version of television." 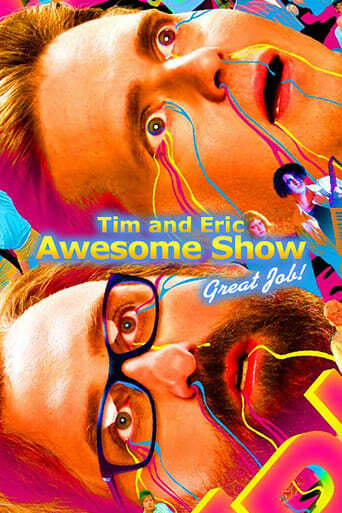 Write a review for Tim and Eric Awesome Show, Great Job!